When Gordon Losey was playing baseball for Bristol High School and Bristol American Legion baseball teams in the late 1940s to early 1950s, he was called one of the best baseball catchers the city had ever produced. 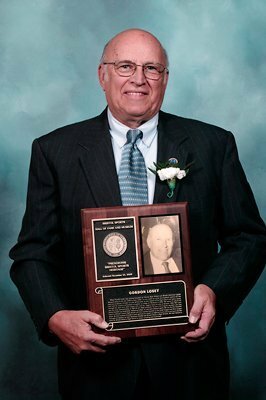 A leader on and off the field, he was captain of his high school and legion teams, and held the position of baseball co-captain in college at Wesleyan in 1956. The teams he played for through the years won many league titles and the Legion teams he was on between 1949-1951 each won the state championship. A 1952 Bristol High graduate, he was a three-sports standout who also played football and basketball. Following college, he returned to Bristol sports. He was the first baseball coach at Bristol Central High School and also coached baseball at the Little league and Pony League levels. he also involved himself in local sports as an umpire at different levels and in serving as faculty manager of athletics at both Northeast Middle and Bristol Eastern High Schools. He later became a time for Bristol Eastern High School in soccer, wrestling and basketball.